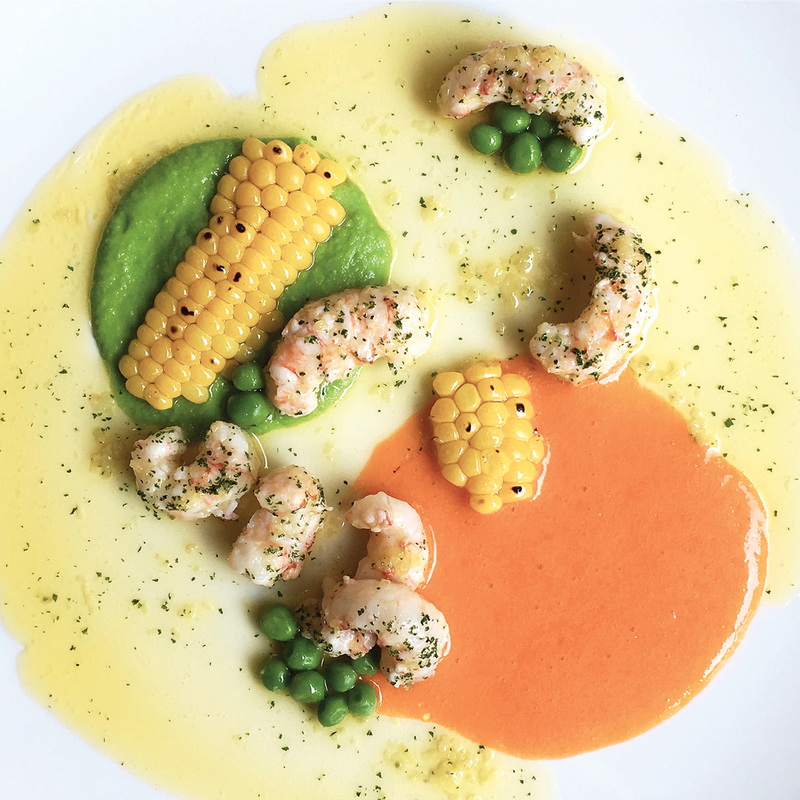 Chef Chanoh Manu Lee of Chanou combines art and culture to create food fit for the five senses. 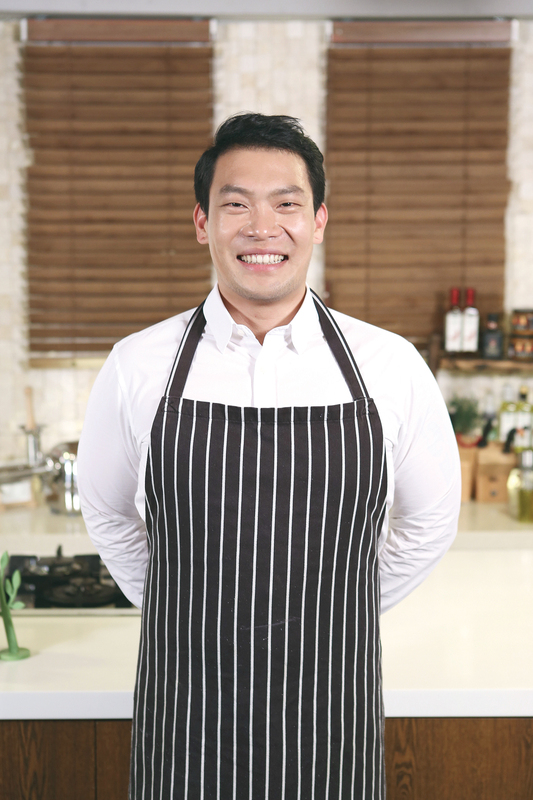 Chef Chanoh Lee’s bashful smile and soft voice belie his tall, broad physique. “Sorry, I talk about this too many times, and I don’t enjoy saying this but it’s my story.” His story of how he became a top chef began when he moved to Sydney, Australia to study sports marketing. Chef Lee began working part-time as a dishwasher and also roomed with a cook. His roommate had famed Chef Charlie Trotter’s cookbook Seafood and it mesmerized him. Born into an artistic family with a sculptor father and a designer mother, Chef Lee developed an artistic bent, and he fell in love with the exotic ingredients and colorful dishes featured in the book. Chef Lee then focused entirely on cooking, on French cuisine in particular. “It doesn’t matter what nationality you are. If you cook French food well, you get respect.” He was young and ambitious. “I was the only foreigner in that kitchen, the only Korean.” But Chef Lee worked hard, building expertise at highly-regarded restaurants in Sydney and became head-chef by the time he turned 25. After six years, he made the move to France. He became chef de partie of a two-starred Michelin restaurant and then received a head-chef offer at a new restaurant in the Netherlands. 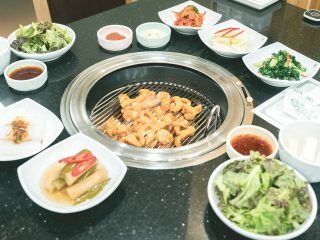 It gave him the freedom to create new dishes using Korean ingredients, and he helped put the restaurant into the Hague’s top 20 list. Chef Lee paid his dues during these tough eight years abroad and he doesn’t regret it. “It was an amazing experience. I couldn’t make it to where I am without it.” Nonetheless, it was time to return home, if only to complete his military service. Chef Lee used even his military stint to further his cooking studies. He worked as a cook for a general, and he developed over a hundred new recipes to broaden his repertoire. Lauded in culinary circles as as a young creative chef, Chef Lee felt ready in 2015 to open his own restaurant, Manu Terrace. “I had no money, no experience, but we built it and it’s been successful.” Manu Terrace serves fine French dining in the main hall but there’s also a casual space in the terrace that expresses Chef Lee’s lifestyle. It’s a charming open-air bar where folks can drop by and enjoy a glass of wine with tapas, over a light breeze and music. It was time to make a change. Chef Lee got off the celebrity chef circuit and decided to open a new space where he could use what he learned from the past two years. At his new restaurant, Chanou, he put considerable time and effort into the design, artwork and floor-plan. “A restaurant is where you make and serve food and you give the diners a good time. It depends on the customers. But here at Chanou, I want to give people inspiration – as soon as they open the door.” Chanou is filled with color: from the brilliant blue and burnt orange velvet furnishings and the gilded brass accents to the artwork from Chef Lee and his friends found everywhere. Chef Lee shares a series of photos he took on a recent trip to Greece. “I’m inspired by nature and by everyday moments you see in the sky, the trees, the sea,” he says as he flips over photos of clouds, grapes on a vine, wildflowers and well-worn foot paths. He and his kitchen crew developed a new menu based on his impressions of Greece. The dishes display strong colors and flavors. One dish looks as though someone painted thick red brush-strokes over a warm golden background. 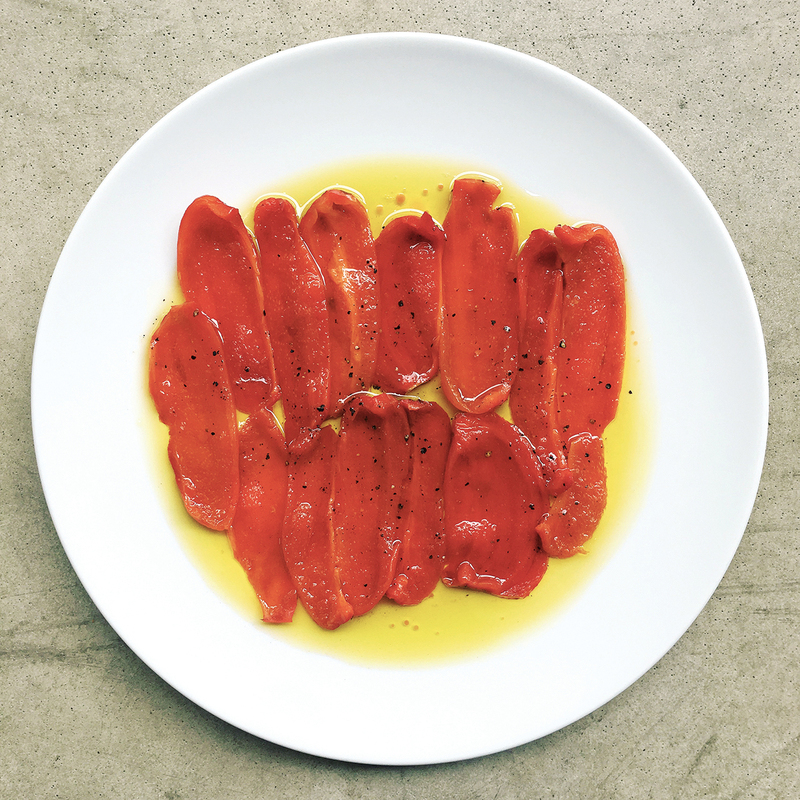 It’s as simple as a dish can be, with slices of roasted and peeled paprika over olive oil, sprinkled with salt and pepper. It’s as delicious as it is simple.